By default, all Blogger templates come with a meta tag that forces all versions of Internet Explorer to behave like Internet Explorer 7. Because Disqus supports Internet Explorer 8 and higher, this will break functionality and users won't be able to comment on even the latest version of Internet Explorer. In this article I will be teaching you how to fix you blog's view incompatibility with latest versions of Internet explorer. This problem of incompatibility of blogs from blogger is widely experienced by most of bloggers due to the reason that the default settings of blogger templates are not updated to latest meta tag that will show your blog template designs correctly on most of latest version of Internet explorer. Based on my observation, as I am monitoring my blog visitors, most of my visitors are using internet explorer especially those who came from western countries. If your blog is not fully viewable on IE you will be losing almost 80% of your potential blog visitors with those countries that may give you more earnings for the adnetwork where you are working with. The nicest thing about a blog is knowing that it can run no matter what kind of browser is used. Step 4. Click Save Template to apply your changes. 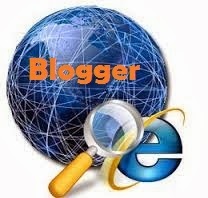 There setting must fixed your blogs views on all Internet Explorer Versions. I visited your blog, but its seems your problem is already fixed? I can't see big images.